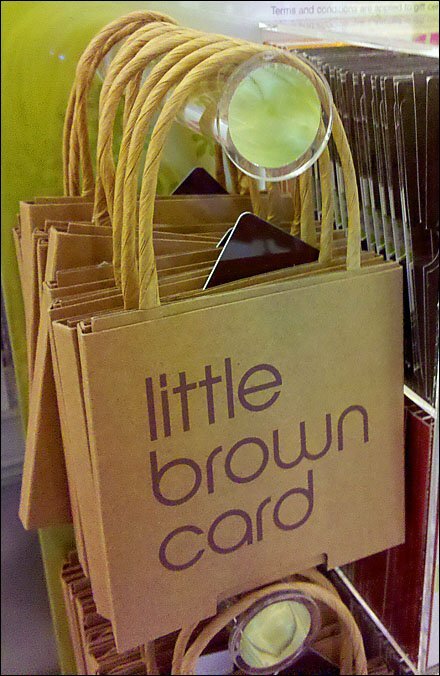 Bloomingdales famous Little Brown Bag takes on new life as cute Little Brown Gift Cards. Here the display thereof employs disk frontstop finials to keep the miniature card bags in on hook. To read the legend of Bloomindales and the Little Brown Bag see Wikipedia. For other iterations see Bloomingdales.